Pursuit race to BI – non spinnaker. PHRF 85 (big jib) Be at dock 8am to load up. TBD – responsible for Bloody Mary Contest! Cindy – responsible for Appetizer Contest! Bill will have food and beverages. 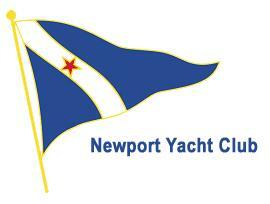 9:00am Start – Newport. The first boat will start at 9:00am, and the rest will follow based on handicap. 6:00pm Finish – New Harbor, Block Island – If you can’t finish by 6:00pm give up, turn on your engine and come in for beer. 6:30pm Dinner – One night on boat, another night in town. 10:00am Bloody Mary Contest (virgin of course) – Back by popular demand. Bring your own concoction. What you do with the mixes after the judges taste them is up to you. 3:00pm Hors d’oeuvres – On the dock. Be ready to present your best hors d’oeuvres for judging in taste and presentation. Partaking requires participation! 4:00pm Awards – On the dock. mates in case any of them want to leave early. Crew Color Codes: Green crew is confirmed. Yellow crew need to verify with Skipper. Red does not crew for event. White crew position assignment not made yet and need to verify with Skipper.